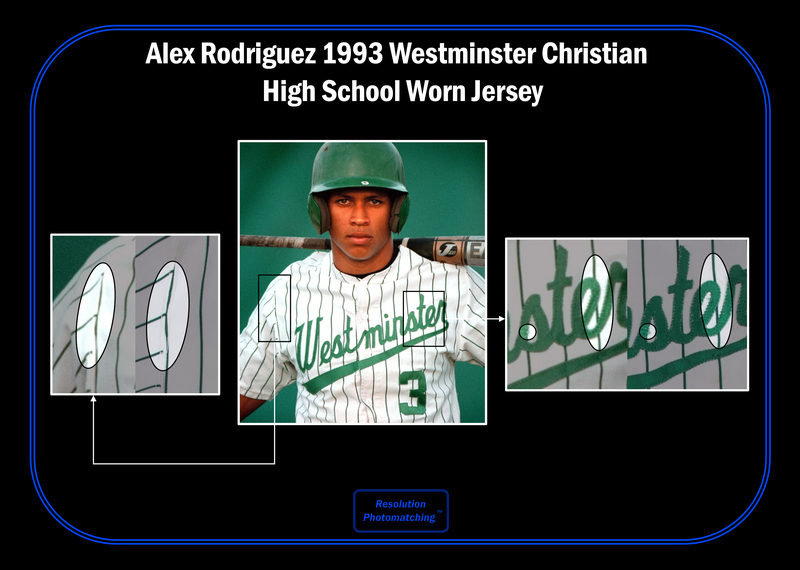 Before Alex Rodriguez was selected with the first overall pick of the 1993 MLB Draft, the future MVP starred for Westminster Christian High School in Miami, Florida, for his final three years of high school. Rodriguez was a bona fide superstar for Westminster, leading the team to USA Today’s 1992 National Championship in his junior season. In his senior year, Rodriguez hit .505 with nine homers, 36 RBI, and 35 stolen bases in a scant 33 games. 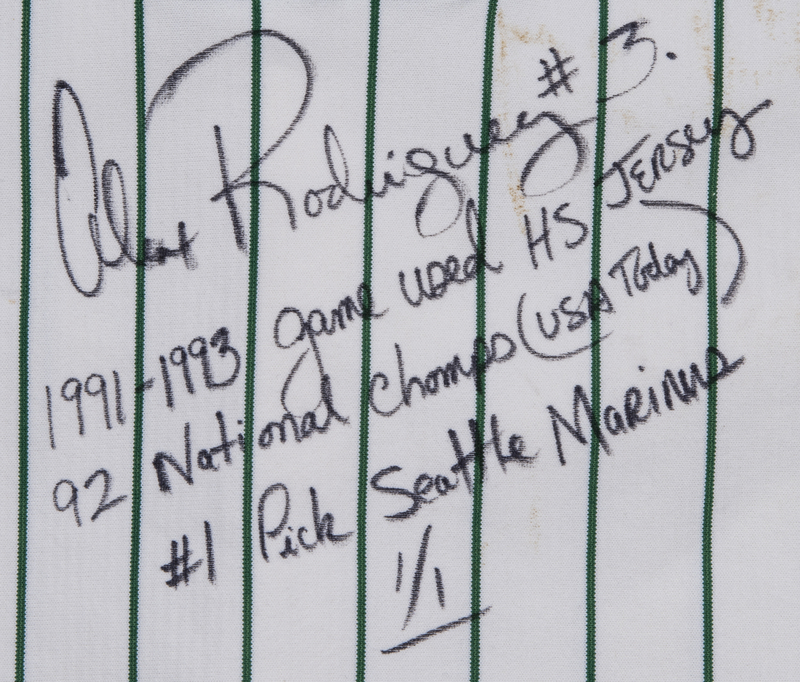 Rodriguez entered a scholarship offer to play baseball and quarterback for the University of Miami, but his selection with the first overall pick in the 1993 Draft by the Seattle Mariners accelerated his path to professional baseball. By 1994 Rodriguez was in the big leagues, playing in 17 games as an 18-year old before locking down a full-time MLB position to open the 1996 campaign. 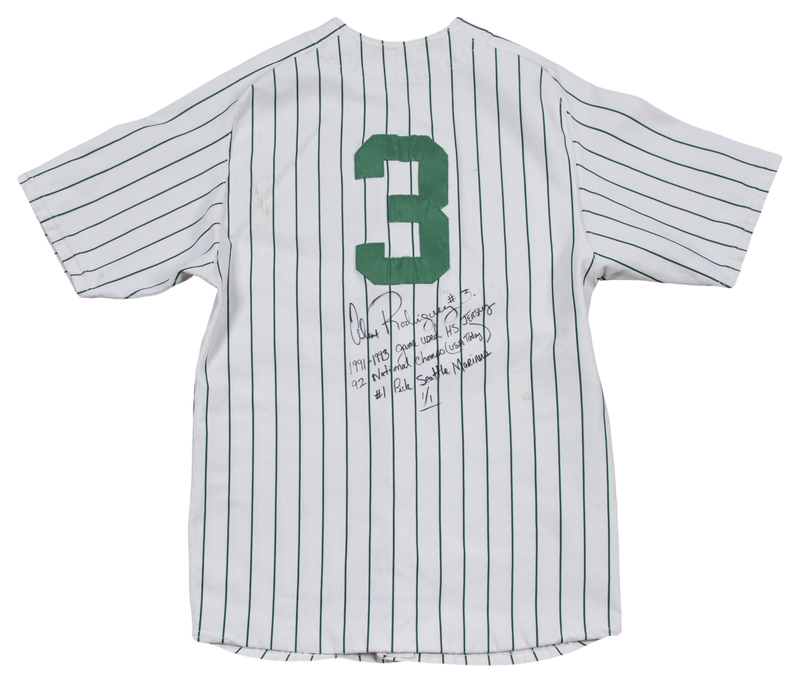 Over a 22-season career, A-Rod would go on to club 696 homers, with 3,115 hits, 2,086 RBI, and a .295 batting average. 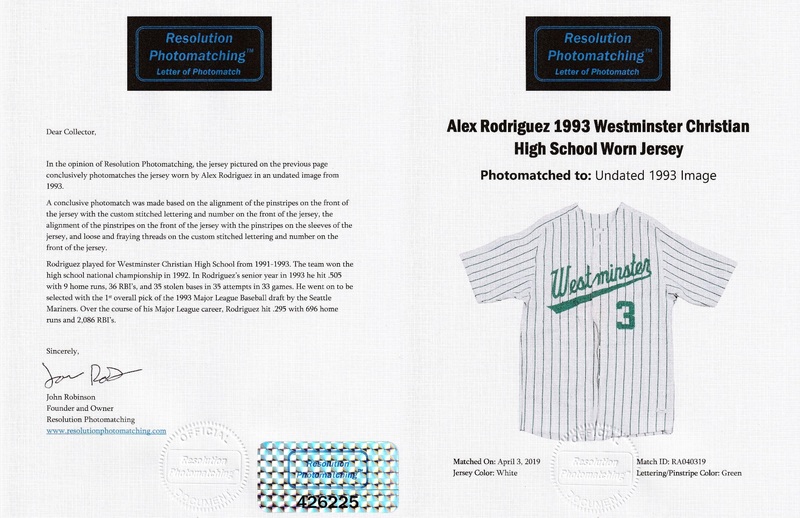 Offered here is Rodriguez’s button-down Westminster High School home jersey worn circa 1991-93 that has been photo matched. 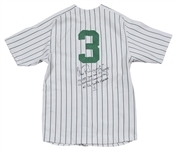 This jersey is adorned with green pinstripes, foreshadowing Rodriguez’s 12 years in the Bronx. 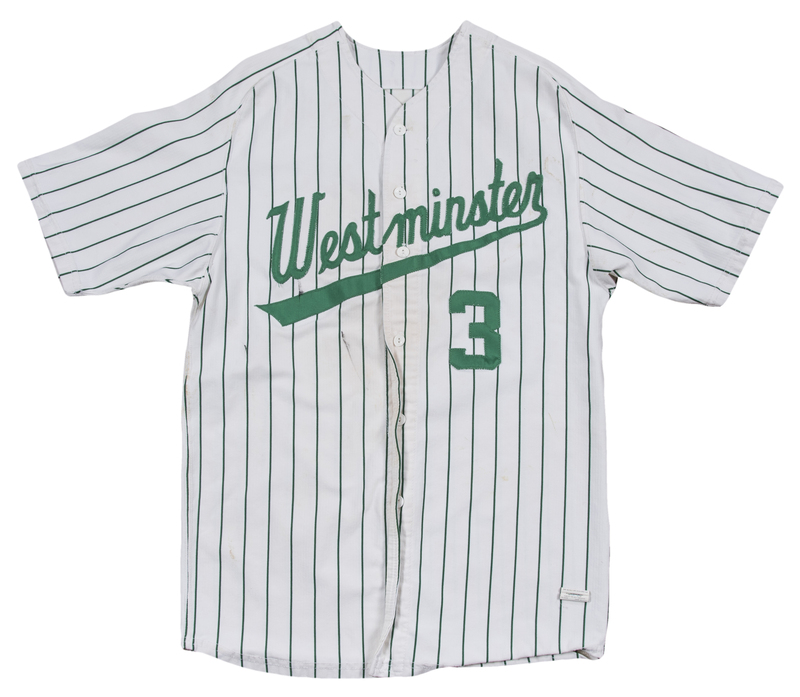 “Westminster” and Rodriguez’s number “3” are sewn on the chest of the jersey in green tackle twill. 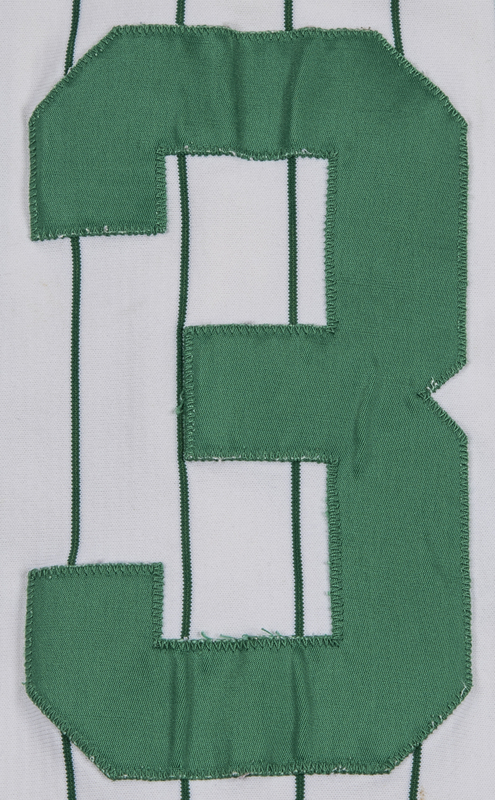 A second “3” is sewn on the back of the jersey in the same fashion. 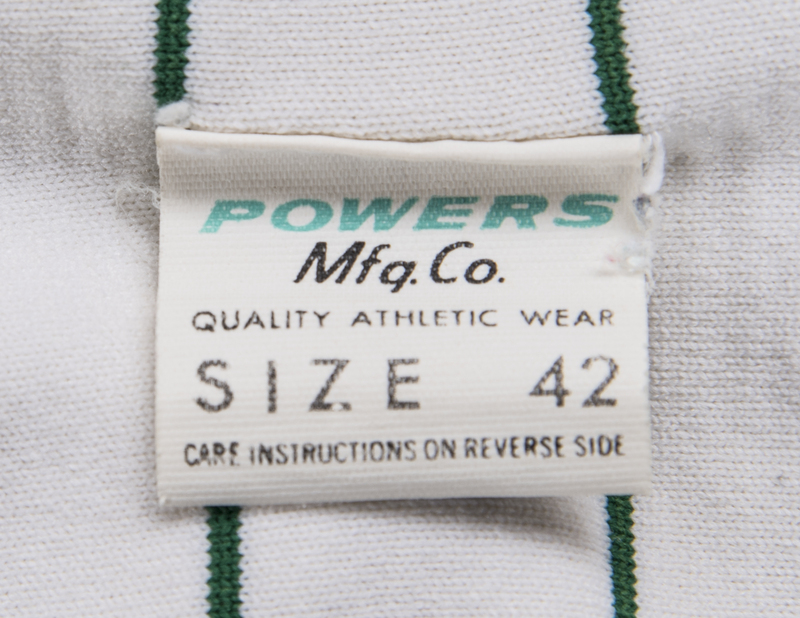 A Powers Mfq. 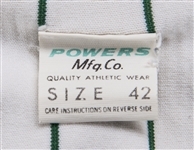 Co. size “42” flag is attached to the front left tail. 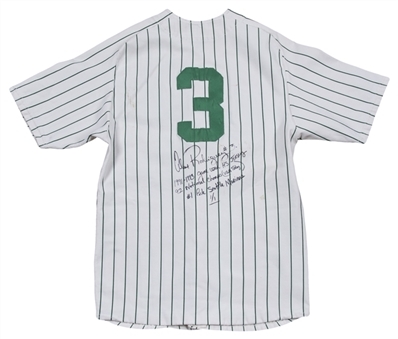 Rodriguez has signed the back tail of this jersey in black marker, inscribing “1991-1993 Game Used HS Jersey / 92 National Champs (USA Today) / #1 Pick Seattle Mariners” and “1/1” below his signature. 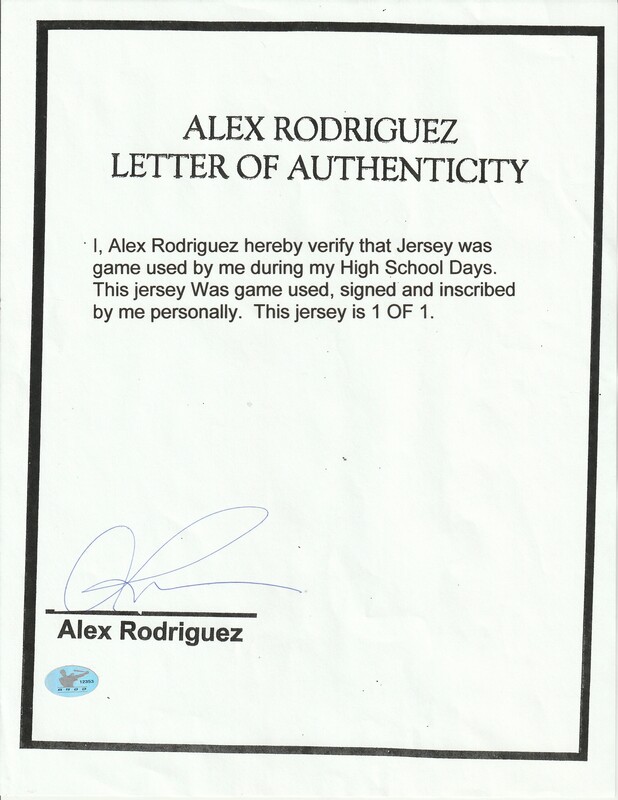 A truly rare Alex Rodriguez game used jersey and it comes with a LOA signed by Alex Rodriguez himself and a LOA from Resolution Photomatching, who have photo matched this jersey.